"Historians would recall the long recession beginning in 1873, the global downturn that began in the late 1920s, and the Japanese and Asian crises of the early and late 1990s respectively. In each episode, a long period of strong credit growth coincided with an increasingly euphoric upturn in both the real economy and financial markets, followed by an unexpected crisis and extended downturn…The eventual global slowdown could prove to be much greater and longer lasting than would be required to keep inflation under control. 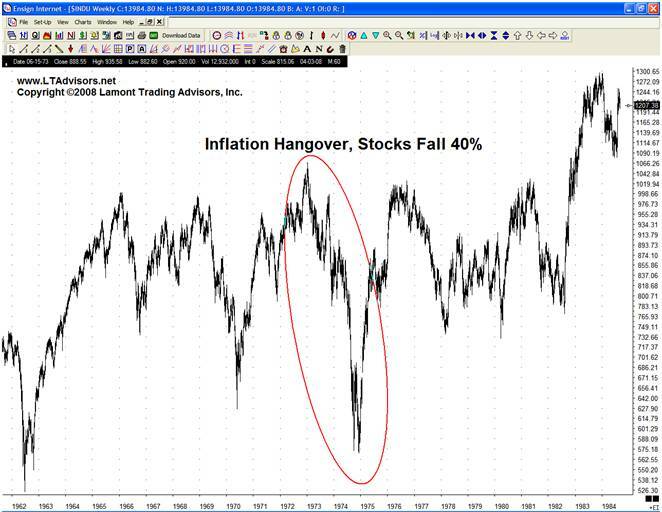 This could potentially even lead to deflation, which would evidently be less welcome." 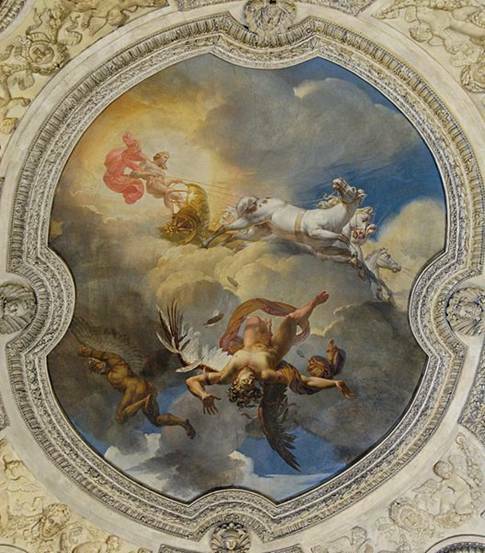 "It is not impossible that the unwinding of the credit bubble could, after a temporary period of higher inflation, culminate in a deflation that might be hard to manage, all the more so given the high debt levels." In our last few reports we too have warned of the turn from temporary inflation to deflation. Now evidence of this transition is appearing in the economic data. Shortly after the appointment of Chairman Ben Bernanke, ‘expert’ on the Great Depression, the Federal Reserve retired the reporting of M3. M3 is the broadest measurement of the money supply. Conspiracy theorists (usually gold bugs) believe that the Fed hides M3 so that it can ‘print money’ and secretly monetize the debts of the banking system. So John Williams (Shadowstats.com) began keeping track of M3 himself. 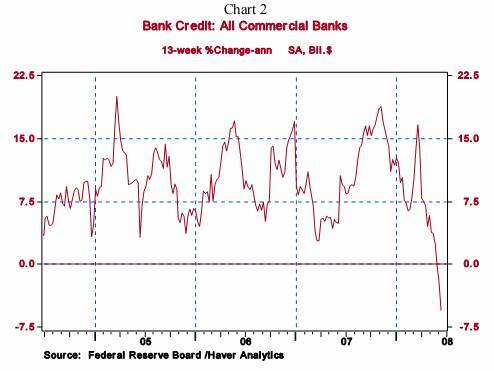 Recently, money supply observers have been surprised: his measurement of M3 growth is slowing down. Instead of hiding ‘money printing’, the Fed is really covering up the extreme slowing in the growth of money. The velocity of money has slowed. No new real estate loans, no new money. To support this case, the annualized growth in loans and investments held at commercial banks has gone negative as well (chart below). This is precisely what we would expect at the beginnings of a deflationary bust. No wonder the BIS is concerned. But the U.S. is not alone. In Britain, M4 growth has ‘plummeted’ with the development of their real estate-induced credit crunch. With money and credit growth slowing (eventually disappearing), prices will fall further than most expect. Sure, the bare necessities will hold up for awhile. But without credit, folks will soon be forced to cut spending. The central planners may try to “manage” things, but contagions could result quickly from panics in Ireland, Spain, Germany, U.K, Iceland, and/or yes even Estonia (chart below). As the Telegraph states, “European banks have suffered worse losses on US property than American banks.” We will see how fast players move when the European property markets turn down. One major excuse that investors have been given to stay invested in stocks has been ‘inflation.’ Regardless of what may occur due to money supply changes, let’s look at what is happening to China and India. Consumer prices in both are rising at a roughly 7% clip. Meanwhile the Shanghai stock market has plunged 55%, while India’s is down 30%. To stay fully invested in stocks as an ‘inflation’ hedge hasn’t worked in China, India or the U.S. We would also like to point out that Congress just let the American consumer borrow the U.S. credit card in the form of a tax rebate. Of course consumer prices went up. Good job Congress. If they keep this up long term interest rates (the Government’s credit card rate) will soar. Needless to say that would not be beneficial to the mortgage market. As we mentioned in January, we expect it to happen. Many folks are waiting to “catch the falling knife” in real estate. 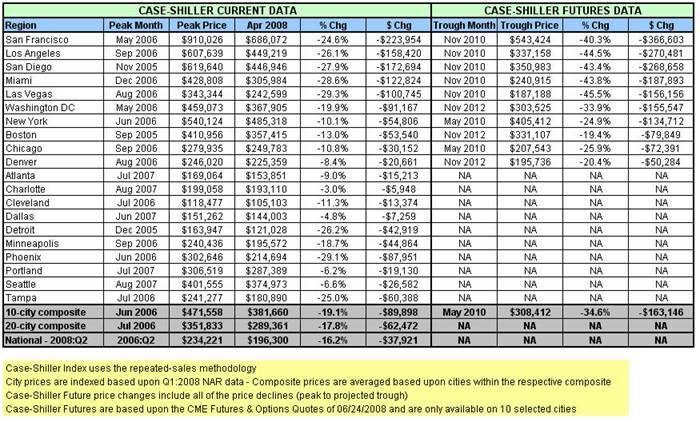 As the futures market currently stands (table below), real estate prices will continue to plunge until 2010. We think even that is optimistic, especially after the bond market bubble implodes. 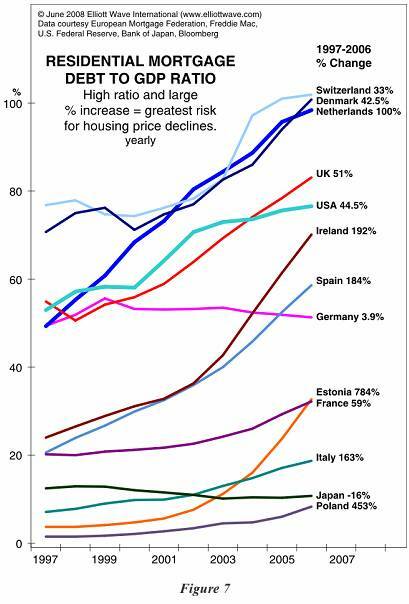 Remember in Japan the Urban Land Price Index has tumbled 76% in 18 years. The Japanese Residential Condominium Price Index is down 64% over the same period. We think the coming bank failures will push real estate prices lower and faster than even the futures market currently believes. The discussion at a recent cocktail party recently turned to homemakers buying oil stocks. Black Gold, a reality show on drilling for oil is being shown on TNT. Meanwhile Wall Street hedge funds are increasing their short bets on oil and gas companies. Not much changes in the financial world. The last time we saw a reality show based on an economic trend, it was called ‘Flip This House.’ The homebuilder stocks peaked out that year. We still expect a ‘last hoorah’ from the oil price. It could easily spike into the $160-$190 range. But like in the last recession, oil falls (50% in the last mild downturn) with the real economy. 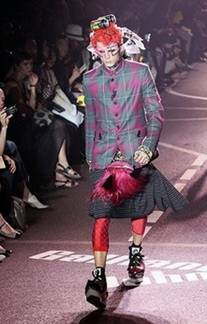 We noticed the recent theme of a male fashion show in Paris (below on the left). The ‘cross gender’ fashion is strikingly similar (perhaps purposefully so) to David Bowie’s “Aladdin Sane” album cover (below on the right). It was released in 1973. 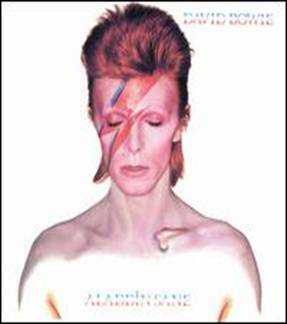 The title track, Aladdin Sane (a pun on ‘A Lad Insane’), was actually named “Aladdin Sane (1913-1938-197? ).” Dates representing World War 1, World War 2 and what he thought might mark the start of World War 3 according to wikipedia. Like the ‘hyperinflationists’ of our day, he got the date right, just the wrong outcome: In January 1973, Nixon signed the Paris Peace Accords ending direct U.S. military involvement in Vietnam. The DJIA fell 40% over the next 2 years. U.S. Treasury Bills like U.S Savings bonds are backed by the full faith and credit of the United States Government. A six-month U.S. Treasury Bill has a current Yield-to-Maturity of 2.0% (roughly). Compared to other asset classes this is quite a return! Treasury Bills are extremely liquid, as they are considered ‘interest-bearing cash.” They can be sold with funds available the next day. U.S. Treasury Bills have the same tax features as U.S. Savings Bonds. They are subject to Federal income tax, but they are exempt from all state and municipal tax. The advertising scheme currently emanating from Wall Street is ‘buying the bottom.’ Frankly, most baby boomers are already fully invested. There is no new buying. The drumbeats of ‘buy’ are really just to keep folks from selling. At the bottom, (which we expect in 2010), most will finally give up, fire their stock brokers and will sell. At that point, those who have invested their retirement savings in stocks will receive the lowest possible value. When this final panic occurs, we will recommend equity purchases. In the meantime, we are recommending a smarter alternative to money market funds. We are conducting a quick survey to better understand our current online readership. This will allow us to improve The Investment Analysis Report. We appreciate your feedback.